Groupon has been exploring new projects recently. Their main focus is still deal-a-day vouchers, but they now have a very large selection of exclusive online coupons and have also created a custom directory for restaurants around the USA. There are real reviews that people leave about the places, details, maps, business information, and much more. You can check out an example of a Groupon Page here: Urban Bar & Grill. 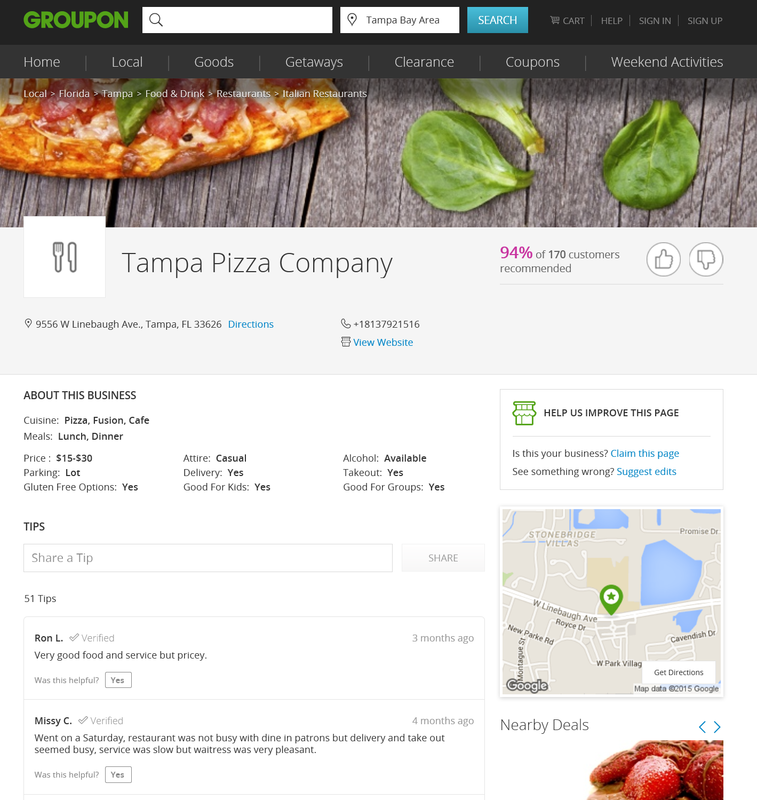 Groupon Pages are very well laid out and can be a great help next time your traveling on business or on vacation with your family, or heck, even if you’re looking for a new place to eat on your lunch break!